Embroidery adds fancy detail to a tablecloth. White or colored thread is used to create this technique. Using embroidery, we can embellish an overlay or tablecloth with sequins, beads, pearls, metals, fringe, ribbon, and many other accessories. Calla has one of the largest selections of embroidered tableclothes & overlays in the area! crushed fabrics are treated to have a permanently rumpled, crinkled, or irregular surface. We love to use these fabrics because they never look wrinkly! 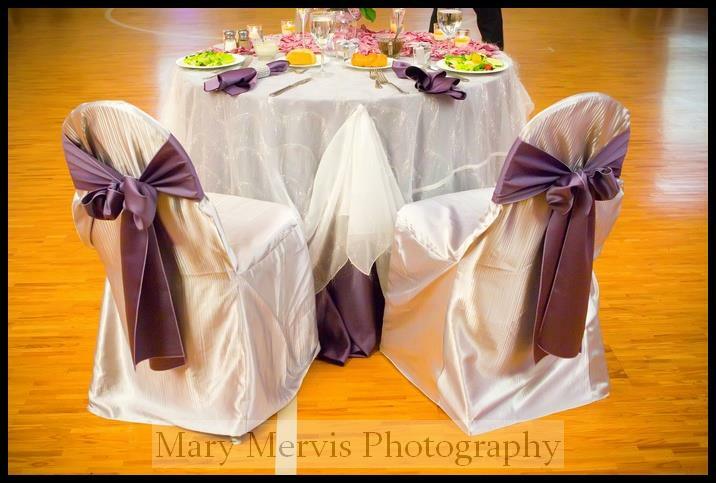 They are easy to work with and look fantastic as tablecloths, napkins, sashes, and chair covers. Sheer Overlays come in many colors, are semi-transparent, and light in weight. They are created by a thin thread and low density knit. A sheer fabric is a great choice for an overlay on top of a tablecloth! Sometimes sheers are created to sparkle while others are embellished with elegant embroidery in many designs and colors. Overlays typically come in round or square dimensions. Iridescent fabrics appear to change color depending upon the angle of view and lighting conditions. This effect is caused by weaving with one color in the "warp" and another in the "weft". Most of our iridescent fabrics are shimmery, lustrous, bold, and beautiful. Calla offers a wide variety of trend setting and classic linen rentals. Linens are an effective way of creating a warm and inviting, or exciting and dramatic atmosphere to your event. They serve as the landscape for elegant table settings, floral arrangements, award tables, auction displays, entrance ways, photo areas, head tables and more. We can even match your company colors, holiday party colors, event themes….the possibilities are endless! Our skilled event planners will help you create a custom look and feel for your event through the use of specialty rented linens. With hundreds of choices of fabrics and colors, we assist our clients with the creation of a personalized fabric palette to coordinate with other elements of your event. 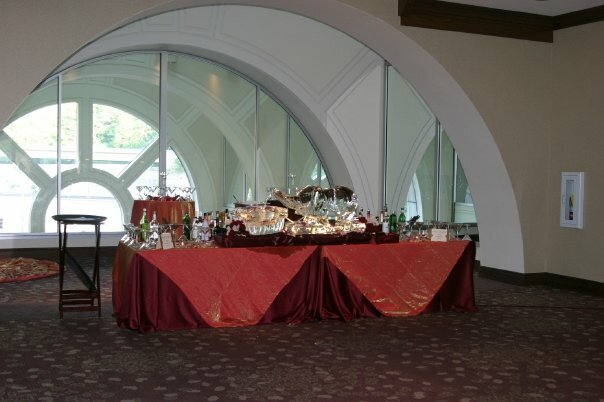 Event Design North provides the highest level of customer service as part of our comprehensive linen rental services for the Pittsburgh area. Our staff will not only assist with the selection of linens but we will calculate the correct quantity and sizes of linens to be rented, track your order so it is delivered in a timely manner, and manage the delivery, setup and breakdown of your specialty linen rental. At Pittsburgh Linen Rental, we typically provide delivery, pickup, set-up, and tear-down service for our clients. The set-up fee insures the correct placement of all linens. All chair legs will be covered, sashes tied, and wrinkles steamed. Tear-down service includes thorough counting, separating of wet linens , sorting, packaging up and returning the linens from event location. Yes, you will have our team inspecting your event setup prior to your arrival, this includes us running around the room with steamers removing the wrinkles from the linens and chair covers that occur from shipping. Our experienced team has over 700 Weddings and Events under our belts. Photos and stories of our weddings and events are published in every Pittsburgh wedding magazine that is released. This means that we have the experience in organization, creativity and damage management to execute your event to the high level of your expectations. We have a full time staff and at happy to sit and meet with you at your convenience to discuss all of the details of making your event look spectacular. Got any questions about linen rental? 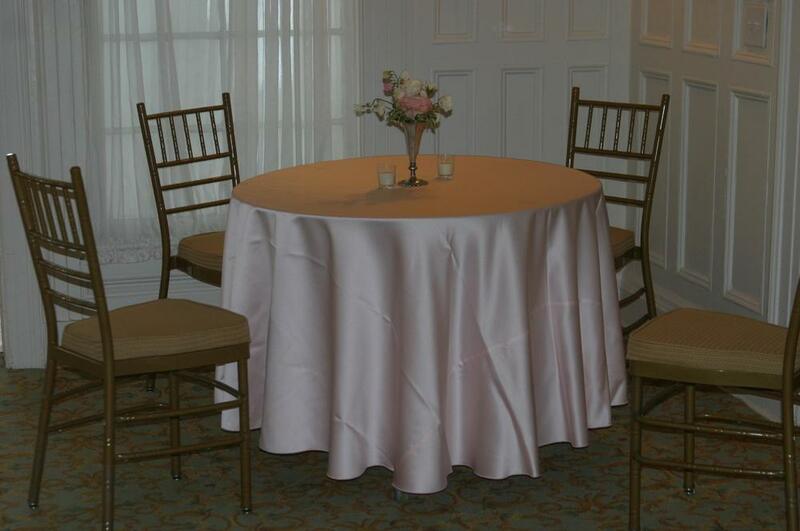 Check out our Linen Rental FAQ page HERE! YOU CAN TRUST THAT CALLA WILL ORCHESTRATE YOUR EVENT WITH CLASS, STYLE AND ELEGANCE! PLEASE CLICK HERE TO ACCESS OUR INFORMATION REQUEST FORM!